Israeli forces continued with systematic crimes, in the occupied Palestinian territory (oPt), for the week of 13 – 19 December, 2018. Israeli forces killed Ashraf Na’alwah in a crime of extra-judicial execution. 2 civilians, including an elderly, were killed in Ramallah and al-Bireh. 24 Palestinian civilians were wounded, including 7 children and a journalist, in separate shooting incidents, in the occupied West Bank. 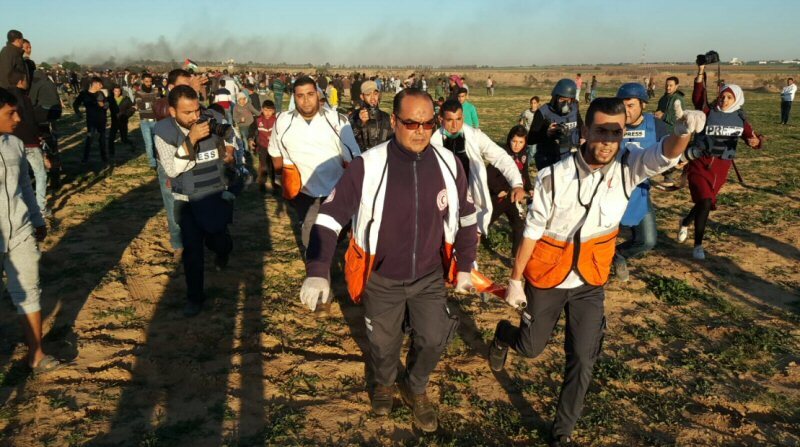 Israeli forces continued to use excessive force against the peaceful protestors in the Gaza Strip; 151 civilians, including 45 children, 9 women, 4 journalists, and 5 paramedics, were wounded; the injury of 4 of them was reported as serious. In the Gaza Strip, the Israeli forces continued to use lethal force against the participants in the peaceful protests organized along the Gaza Strip borders, which witnessed the peaceful protests for the 38th week along the eastern and northern border area of the Gaza Strip. They also continued to use armed force as well during the incursions into the West Bank. In the West Bank, the Israeli forces killed 3 Palestinian civilians, including an elderly, and wounded 24 others, including 7 children and a journalist, in separate shooting incidents. In the Gaza Strip, the Israeli forces wounded 154 civilians, including 45 children, 9 women, 4 journalists, and 5 paramedics. The injury of 4 of those wounded was reported serious. In the West Bank, on 13 December 2018, Israeli forces killed Hamdan al-‘Aardah (60) who was from ‘Arrabah village, south of Jenin, and lived in al-Bireh. He was killed when he was driving his car in al-Bireh industrial area coming back home from his work. When he approached the vehicles, an Israeli soldier opened fire at him, wounding his head with 2 bullets. Israeli media claimed on its websites that he attempted to carry out a run-over attack, and the Israeli forces repeat such claims in similar killings. 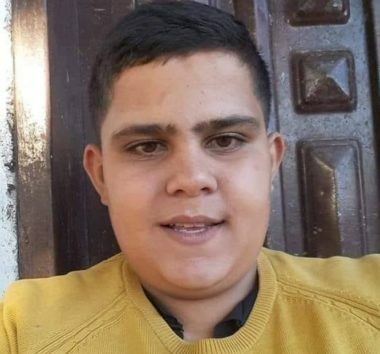 On 14 December 2018, Mahmoud Yousif Nakhlah (18) from al-Jalazone refugee camp, north of Ramallah, was killed by the Israeli forces when he was participating in a peaceful protest at the main entrance of the camp. One of the Israeli soldiers randomly and heavily opened fire at the demonstrators from a distance of 50 meters. As a result, Mahmoud was hit with a bullet in the abdomen. 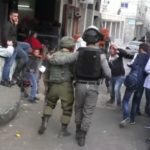 In the same context, the Israeli forces during the reporting period wounded 24 civilians, including 7 children and a journalist, in separate shooting incidents. 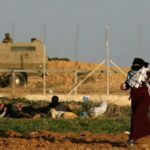 In the Gaza Strip, as part of using excessive force against the peaceful protesters along the Gaza Strip borders, during the reporting period, Israeli forces wounded 151 civilians, including 45 children, 9 women, 4 journalists, and 5 paramedics. The injury of 4 of those wounded was reported serious. As part of targeting the Palestinian fishermen in the sea, the Israeli forces continued to escalate their attacks against the Palestinian fishermen, indicating the on-going Israeli policy to target their livelihoods. During the reporting period, PCHR documented 12 incidents against fishermen. As a result, 4 fishermen were arrested, including a child, and 2 of them were wounded in addition to confiscating their 2 boats while fishing. As part of targeting the border areas on 18 December 2018, Israeli forces stationed in eastern al-Shija’iyah neighbourhood, east of Gaza City, opened fire at one of the bird hunters there. As a result, he was hit with a bullet to the right leg. 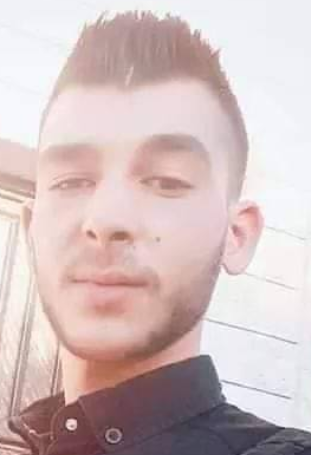 On 13 December 2018, Israeli forces killed Ashraf Na’alwah (23) from Shweikah Suburb in Tulkarm when they moved into ‘ASkar al-Jadid refugee camp, northeast of Nablus, and heavily opened fire at him. It should be noted that the Israeli forces had chased the above-mentioned civilian since 07 October 2018 on grounds of being accused of carrying out a shooting attack in Burkan Industrial Area, west of Salfit, and killing at the time 2 settlers and wounded a third one. Eyewitnesses said that they did not hear any sound indicating occurrence of an exchange of fire in the building. During the reporting period, Israeli forces conducted at least 134military incursions into Palestinian communities in the West Bank and 6 similar incursions into Jerusalem and its suburbs. During those incursions, Israeli forces arrested at least 108 Palestinians, including 15 children, a woman, a journalist and 2 PLC Members, in the West Bank. Moreover, 50 others, including 3 children, were arrested in Jerusalem and its suburbs. In the Gaza Strip, on 13 December 2018, Israeli forces moved 100 meters into the southern side of the border fence off “Zikim” Military base, northwest of Beit Lahia in the northern Gaza Strip. The vehicles started levelling and combing the lands that were previously levelled amidst Israeli sporadic shooting. On 19 December 2018, Israeli forces conducted a similar incursion into eastern al-Bureij in the central Gaza Strip. As part of the collective punishment policy adopted by the Israeli forces against the families of Palestinians accused of carrying out attacks against Israeli soldiers or/and settlers, on Tuesday early morning, 15 December 2018, the Israeli forces blew up a building belonging to the family of prisoner Islam Abu Hmeid in al-Am’ari refugee camp in central al-Bireh. . The demolition came under the pretext that a marble stone was thrown on the head of an Israeli soldier during an incursion into the camp on 06 June 2018 and led to his death. Blowing up the building came two days following the Israeli Prime Minister Benyamin Netanyahu’s decision to expedite the demolitions of the houses belonging to Palestinians carrying out attacks. The building was comprised of 4 floors and built on an area of 150 square meters. It should be mentioned that the Israeli forces demolished the house of the Abu Humaid family for the third time as the first time was in 1994 and the second in 2003. Moreover, the family of Abu Hamid had a son who was killed previously by the Israeli forces and has 6 prisoners serving their sentences in the Israeli prisons, the last one was Islam who was arrested on 13 June 2018. On 17 December 2018, Israeli forces destroyed the internal and external walls of 2 floors in the 3-storey house belonging to the family of Ashraf Na’alwah in Shweikah Suburb, north of Tulkarm. It should be noted that the abovementioned civilian was killed on 13 December 2018 in ‘Askar al-Jadid refugee camp, northeast of Nablus. As part of the Israeli house demolitions and notices, on 16 December 2018, Yousif Qara’in self-demolished an under-construction room of 16 square meters in al-Farouq neighbourhood in al-Mukaber Mount village, south of occupied East Jerusalem, after the Israeli Municipality in the City handed him a demolition order. On 18 December 2018, Israeli forces demolished 2 apartments ready for inhabitation that was owned by Amin ‘Aqeil in al-Farouq in al-Mukaber Mount village, south of occupied Jerusalem. Each apartment was of 90 square meters and ready for his sons, Usamah and Haitham, to live in. As part of the Israeli settlers’ attacks against the Palestinians civilians and their property, PCHR’s fieldworkers in the West Bank documented 31 attacks that were carried out by the Israeli settlers during the reporting period. As a result, 5 civilians sustained wounds and bruises and 77 cars sustained damage. At approximately 01:30 on Thursday, 13 December 2018, large numbers of Israeli forces moved into ‘Askar al-Jadid refugee camp, northeast of Nablus, and stationed in the vicinity of a building belonging to Hussein Mohammed Bushkar. Many of them topped the roofs of the nearby buildings and surrounded the 3-storey building. Following that, heavy explosions and shooting were heard in the area. At approximately 03:30, the Israeli soldiers took out a dead body from the second floor in the building , where there was an empty apartment, on a litter covered with a dark color cover. The Israeli forces later declared that they managed to kill Ashraf Walid Soliman Na’alwah (23) from Shwikah Suburb in Tulkarm. The Israeli forces also arrested the 2 siblings Raied (36) and Amjad Hussain Mohamed Bushkar (45). Raied sustained wounds after Israeli dogs attacking him inside his apartment. Na’alwah had been chased by the Israeli forces since 07 October 2018 on grounds of being accused of carrying out a shooting attack in Burkan Industrial Area, west of Salfit, and killing at the time 2 settlers and wounded a third one. Since that day, the Israeli forces carried out dozens of incursions against villages, cities and camps in northern West Bank, where they threatened civilians to be punished if they help Na’alwah or supply him with food. The Israeli forces’ chasing resulted in the killing of Mohammed Habali (22), from Tulkarm, on 04 December 2018. 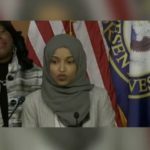 It should be noted that Mohammed is a person with disabilities. As part of Continuing to Apply Collective Punishment Policy against Families of Those Carrying Attacks against Soldiers and Settlers, on Saturday early morning, 15 December 2018, the Israeli forces blew up a building belonging to the family of prisoner Islam Abu Hmeid in al-Am’ari refugee camp in central al-Bireh. Blowing up the building came two days after the Israeli Prime Minister Benyamin Netenyahu’s decision to expedite the demolitions of the houses belonging to Palestinians carrying out attacks. 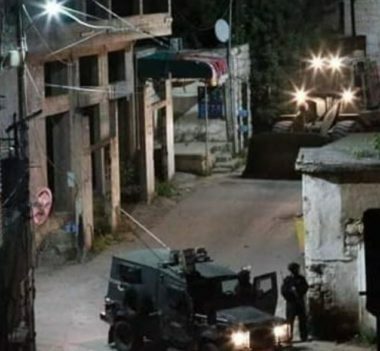 According to PCHR’s investigations and eyewitnesses’ accounts, at approximately 01:30 on the abovementioned day, Israeli forces backed by military vehicles and around 150 soldiers moved into al-Am’ari refugee camp in central al-Bireh. The soldiers stepped out of their military vehicles and deployed between houses while around 30 of them topped the roofs of many houses. A large number of the Israeli soldiers raided a residential building belonging to the family of prisoner Islam Abu Hmeid to apply the demolition decision which the family was informed of previously under the pretext that a marble stone was thrown on the head of an Israeli soldier during an incursion into the camp on 06 June 2018 and led to his death. Dozens of the camp’s residents and Palestinian activists along with International human rights defenders and Chairman of the Colonization and Wall Resistance Commission, Minister Waleed ‘Assaf, stood in front of the building attempting to prevent the demolition. 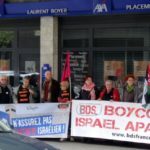 However, The Israeli soldiers forced them, including the 60-year-old mother of Islam, who was alone living in the building, to evacuate the building by firing sound bombs and teargas canisters directly at them while they were inside. The Israeli soldiers also beat up and pushed them, including photojournalist Mohammed Hamdan after breaking his cell phone, with the firearms’ muzzles. Following that, a large number of Israeli soldiers raided and searched the residential houses in the vicinity of the building. They forced the residents to evacuate them immediately and forcibly, causing fear among them. The residents were forced to leave towards al-Bireh School, in the center of the camp, where they were detained for 3 consecutive hours before the Palestine Red Crescent Society (PRCS) crews were allowed to transfer them to the PRCS office adjacent to the camp. They were more than 500 civilians, including children, women and elderlies, detained in a very cold place. In the meantime, dozens of young men and boys gathered and threw stones and empty bottles at Israeli soldiers who deployed throughout the camp. The soldiers fired heavily rubber bullets and tear gas canisters at them, wounding 6 young men with rubber bullets in addition to other civilians and journalists suffering tear gas inhalation and fainting. Meanwhile, an Israeli military force was demolishing the internal walls of the building with special equipment and planting a large quantity of explosives inside it in preparation for blowing it up. At approximately 06:50, the 150-square-meter building comprised of 4 floors was blown up and completely destroyed. 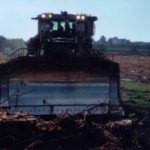 It is noteworthy that the Israeli forces demolished the house of the Abu Humaid family for the third time as the first time was in 1994 and the second in 2003. 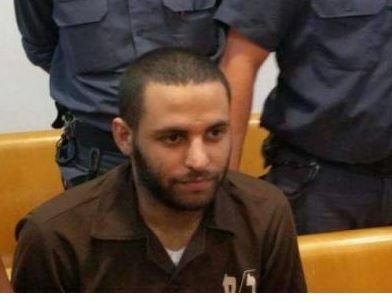 Moreover, the family of Abu Hamid had a son who was killed previously by the Israeli forces and has 6 prisoners serving their sentences in the Israeli prisons, the last one was Islam who was arrested on 13 June 2018. At approximately 02:10 on the abovementioned day, the Israeli forces backed by 40 military vehicles, 2 bulldozers, around 170 soldiers and drones moved into Shuwikah Suburb, north of Tulkarm. The soldiers stepped out of their military vehicles and deployed between houses in Na’alwah neighborhood while 50 of them topped the roofs of many houses. Around 100 soldiers raided a 3-story residential building belonging to Ashraf Walid Suleiman Na’alwah in an attempt to apply the demolition decision while a number of civilians and journalists were inside it. 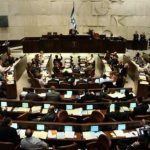 After the Israeli soldiers forced those who were in the house to evacuate it at gunpoint, they deployed in the 3 floors and thoroughly searched the house using a large number of police dogs. The engineering units put signs on the ground floor walls, which consisted of 3 bedrooms, a living room, a kitchen and 2 bathrooms, and then around 100 soldiers demolished the walls by a bulldozer and hand hammers. Following that, the Israeli forces moved into the underground floor, which was inhabited by Ashraf, and consisted of 2 rooms, a kitchen and a bathroom, and demolished it in the same way. During the demolition, the Israeli forces attempted to prevent around 30 journalists, who were in the area, from photographing the area. The soldiers chased them on houses’ roofs more than once and fired sound bombs and tear gas canisters at them. As a result, journalist Mo’een Shadeed, a reporter at Palestine TV Channel, fainted and received medical treatment on the spot. At approximately 09:40, the Israeli forces fired a barrage of sound bombs and tear gas canisters at the civilians, who gathered in the area. Wafa’a Omer Khamis Jaber (23), a volunteer paramedic at the Palestinian Ministry of Health, was hit with a rubber bullet to the left elbow. Mohammed husni Abdul Latif al-Haw (22), a paramedic at the Military Medical Services, was hit with a tear gas canister to the head. Gaza City: 40 civilians, including 3 children, and 2 journalists, were wounded. Nineteen of them were hit with live bullets and their shrapnel, 14 were hit with rubber bullets and 7 were hit with tear gas canisters. The wounded journalists were identified as ‘Atiyah Mohammed ‘Ali Darwish (31), a journalist at Al-Ray Media Agency, was hit with a tear gas canister to the left eye; and Mustafa Mahmoud Hasounah, a photojournalist at the Anadolu Agency, was hit with a tear gas canister to the right leg. Mohammed Saber Abdullah Hmaid (25), was hit with a tear gas canister to the right foot. Khan Younis: 8 civilians, including 3 children and a journalist, were wounded. The wounded journalist identified as Hasan Abdul Fattah Mohammed Slaih (30), was hit with a tear gas canister to the right foot. Rafah: 10 civilians, including 6 children, were wounded. Four of them were hit with live bullets and their shrapnel, including a deaf-mute person, and 6 were hit with tear gas canisters. Doctors classified 2 civilians’ injury as serious. 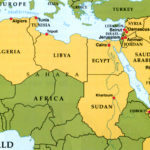 At approximately 14:00 on Monday, 17 December 2018, Israeli gunboats stationed offshore, and Israeli forces stationed along the border fence between the Gaza Strip and Israel, opened fire and fired sound bombs at dozens of Palestinian civilians who were at the Return camp along the border coastal, adjacent to adjacent to “Zikim” military base, northwest of Beit Lahia in the northern Gaza Strip. It should be noted that this is the 19thtime for Palestinian boats to sail for Breaking the Siege. As a result, 21 civilians, including 7 children, 6 woman, and a journalist, were wounded. Three of them were hit with live bullets and their shrapnel, 9 were hit with rubber bullets and 9 were hit with tear gas canisters. Doctors classified two civilian s ‘ injury as serious while the other civilians’ injuries were between minor and moderate. The wounded journalist identified as Tha’er Khalid Fehmi Abu Rayash (24), a freelance journalist was hit with a tear gas canister to the abdomen. At approximately 17:00 on Thursday, 13 December 2018, a number of Palestinian children and youngsters gathered at the road leading to al-Fawar refugee camp, south of Hebron. An Israeli infantry unit patrolled the agricultural lands surrounding the road. They threw stones at Israeli soldiers and closed the road by iron barricades and rocks. The soldiers fired sound bombs and tear gas canisters at them. The clashes continued until approximately 18:00, as the soldiers randomly fired live bullets at the stone throwers claiming that the military watchtower established at the camp entrance was targeted with a Molotov Cocktail. As a result, an 18-year-old civilian was hit with a live bullet that penetrated the back. He was transferred to al-Ahli Hospital in Hebron and doctors classified his injury as settled. 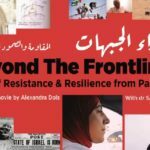 At approximately 15:30 on Friday, 14 December 2018, Israeli forces accompanied with a number of military vehicles moved into al-Jalazoun refugee camp, north of Ramallah and stationed near the walls of al-Jalazoun Secondary School belonging to the UNRWA and established at the main entrance to the camp. Dozens of Palestinian youngsters and young men gathered and threw stones and empty bottles at Israeli soldiers. The soldiers fired live and rubber bullets, sound bombs and tear gas canisters at them. At approximately 16:20, a soldier suddenly moved forward and heavily and randomly opened fire at the protestors from an area of 50 meters. As a result, Mahmoud Yusuf Nakhlah (18) was hit with a live bullet to the abdomen and fell on the ground while bleeding. He was transferred via a PRCS ambulance to Palestine Medical Complex in the city and his health condition was classified as very serious. Mahmoud was admitted to the surgery room to underwent a surgery. At approximately 17:30, doctors announced Mahmoud. It should be noted that Mahmoud is the only son in his family, which is comprised of his father and mother. The shooting also resulted in the injury of a child. At approximately 17:00, a number of Palestinian young men gathered in al-Zawiyah Gate in the center of Hebron, and threw stones and empty bottles at the Military Checkpoint (56) established at the entrance to al-Shuhada’a Street. Israeli soldiers fired sound bombs and tear gas canisters and chased the young men on Beir al-Hums Street. They also randomly fired rubber bullets at the young men. As a result, journalist Mos’ab Abdul Samad Hamed Shawer al-Tamimi (29) was hit with a rubber bullet to the right hand. He received medical treatment on the spot. It should be noted that Mos’ab works as a freelance journalist. On Sunday, 16 December 2018, Yousef Mohamed Qara’een self-demolished an under-construction room in al-Farouq neighborhood in al-Mukaber Mount village, south of occupied East Jerusalem, after the Israeli Municipality handed him a demolition notice. The room was built on an area of 16 square meters and Yousef was intending to live in it along with his wife. 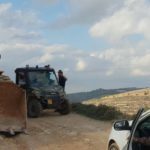 On Tuesday, 18 December 2018, Israeli forces accompanied with the Israeli Municipality bulldozers moved into al-Farouq neighborhood in al-Mukaber Mount area, south of occupied Jerusalem. The Israeli forces surrounded two 90-sqaure-meter residential apartments belonging to Ameen Ahmed Hussain ‘Oqail (60) and then demolished them completely. 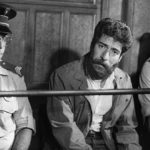 Ameen’s losses were estimated at half a million shekels. It should be noted that ‘Ameen’s sons Osama and Hitham were intending to live in those apartments after get married. The family clarified that they attempted to license the apartments by heading to the municipality court and then to District and Supreme Courts, but the license request was refused or delaying the administrative demolition decision. The family added that the demolition was carried out without a prior warning, pointing out that the municipality refused to license the apartments and the Israeli Supreme Court refused on 12 December 2018 the family petition against the demolition decision. On Thursday, 13 December 2018, a group of Israeli settlers surrounded with barbed wires a plot of land located in Wad al-Hussain area in the eastern area of Hebron, near “ Kiryat ‘Arba’” settlement. The settlers used hand tools to establish a footpath and facilitate the settlers’ access to the abovementioned settlement. A large force of Israeli soldiers arrived at the area to prevent the lands’ owners from access their lands. Nabil As’ad Saleh ‘Abdullah, from Nablus: Broking the vehicle’s windshield and lights and damaging its body. Hani Mizher Suliman Shurrab (26), from ‘Orta village, southeast of Nablus: Broking the vehicle’s windshield and another side window in addition to wounding the diver with a stone, so he was taken to Rafidia Hospital. Tareq Nazzal: Broking the vehicle’s windshield and another side window. Al-Jawhar Company for fodders: Damaging a truck belonging to Jawhar ‘Abdullah Haniny Abu Ghalamah. Damaging a public vehicle its owner is still un-known. Hussain Abu Medighem, from Rahit city: Broking the vehicle’s windshield and another side window. Ibrahim Mahmoud Ibrahim al-Az’ar, from Qablan village, southeast of Nablus: Broking the vehicle’s windshield and another side window. At approximately 13:30, a group of Israeli settlers, from “Yatizhar” settlement, attacked the outskirts of ‘Asirah al-Qabaliyia village, south of Nablus. The Israeli settlers threw stones at a house belonging to ‘Abed al-Baset Mohamed ‘Abed al-Rahman Ahmed in Bir ‘Asirah area. As a result, 4 windows of his house were broken. Meanwhile, a group of Palestinian young men gathered and confronted the settlers by throwing stones at them. 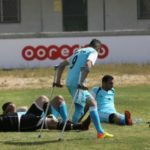 As a result, Mohamed ‘Abed al-Baset Mohamed ‘Abed al-Rahman Ahmed (22), was hit with a stone to the head; and ‘Isaa Mohamed Hamdan (20), was hit with a stone at his head, causing him skull fracture. ‘Isaa was then taken to Rafidia Hospital to receive medical treatment. At approximately 14:00, a group of Israeli settlers gathered on the main street near Kafur Laqef village, east of Qalqiliyia, and threw stones at Palestinian civilians’ vehicles, but no injuries among Palestinian civilians were reported. At approximately 15:00, a group of Israeli settlers gathered on the main street near Amateen village, northeast of Qalqiliyi, and threw stones at Palestinian civilians’ vehicles, but no injuries among Palestinian civilians were reported. At approximately 16:30, Ayman ‘Abed al-Kareem Salman Suhlob (49) sustained bruises and wounds to his head after attacking him by a group of Israeli settler while he was returning to his house in Hebron. Ayman headed to al-Ahli Hospital to receive medical treatment. At approximately 19:00, a group of Israeli settlers moved into Jeet village, northeast of Qalqiliyia. After that, the Israeli forces moved into the village and fired sound bombs and tear gas canisters at Palestinian civilians, who attempted to confront the settlers. Around the same time, dozens of Israeli settlers gathered near the intersection of Osreen village on ‘Aber al-Samirah (505) Street, southeast of Nablus. The settlers threw stones at a truck and broke its windshield. The truck belongs to Mohamed Nimer Isma’il ‘Odah, from Qasrrah village, southeast of the city. At approximately 19:30, a group of Israeli settlers, from “Yatizhar” settlement, south of Nablus, attacked the outskirts of Bureen village. The settlers threw stones at 2 houses belonging to Bashar Waleed Mostafa al-Najjar and Marwan Mostafa Najjar. As a result, some of the houses windows were broken while the windows of 2 vehicles parking in the vicinity of the house were broken as well. The 2 vehicles belong to Mohamed Yousef ‘Asfour and Mohamed al-Hendi. At approximately 19:40, a group of Israeli settlers attacked a stolen car garage on the main street in Hawarah village, south of Nablus. They damaged the windows of 10 vehicles parked inside the garage, which belongs to ‘Ayid Mahmoud Hasan Mohareb, from Hawarah. At approximately 20:00, a group of Israeli settlers, from “’ Ofra “settlement attacked villages located in northeastern of Ramallah. The attacked villages were identified as Yabroud, ‘Ain Yabroud, Silwad, Ramoun, and Barqah villages. The Israeli settlers punctured the tires of 10 vehicles with sharp tools and carried out riots on the village streets. The abovementioned villages witnessed several attacks until Saturday evening, 15 December 2018, by the Israeli settlers in addition to throwing stones at Palestinian civilians’ houses and vehicles. At approximately 21:00, a group of Israeli settlers, from “Yatizhar” settlement, attacked the outskirts of ‘Orta village, southeast of Nablus. The settlers threw stones at a house belonging to ‘isaa al-‘Ajouri near ‘Orta Crossing. As a result, the house windows were broken. In afternoon, between 10 to 12 Israeli settlers attacked Nedal al-Faqieh (39), from occupied East Jerusalem, causing fractures to him around his eye in addition to other bruises and bleeding. Nedal said that while he was driving a bus belonging to the Israeli Kavim Company in “Modi’in Illit” settlement, two Israeli settlers intercepted his way and cursed him. Nedal called the police, informing him about what happened and asking them to come into the area. He added that he drove the bus towards the parking, but the Israeli settlers managed to get into the bus and then assaulted him. In the meantime, one of Nedal’s friends immediately came and helped him. After that, a group of Israeli settlers suddenly raided the bus and severely beat Nedal. They then fled before the police arrival. At approximately 14:50 on Friday, 14 December 2018, a group of Israeli settlers, who were driving a car with an Israeli registration plate, attacked another Palestinian car on Ramallah Road near Mo’arajat al-Laban, south of Nablus. As a result, the windshield of the Palestinian car was broken. This car belongs to Khader Isma’il ‘Owis, from al-Laban eastern village. At approximately 18:00, a group of Israeli settlers gathered on the main street near the entrance to Amateen village, northeast of Qalqiliyia. The settlers threw stones at Palestinian vehicles passing on the street, but no injuries among Palestinian civilians were reported. On Saturday, 15 December 2018, a number of Israeli settlers, from “Ifrat” settlement, south of Bethlehem, attacked Palestinian civilians’ vehicles passing on the bypass road (60) with stones and empty bottles, causing fear among them. It should be noted that the Israeli forces stationed on the street, but they did not do anything to stop the settlers. At approximately 20:30, a group of Israeli settlers gathered on the main street near the entrance to Jeet, northeast of Qalqiliyia. They threw stones at Palestinian civilians’ vehicles travelling on the street, but no injuries among Palestinian civilians were reported. Around the same time, a group of Israeli settlers gathered near ‘Inab checkpoint, east of Tulkarm, and then threw stones at Palestinian civilians’ vehicles travelling on the street, but no injuries among Palestinian civilians were reported. At approximately 20:40, a group of Israeli settlers gathered on the main street at the entrance to Amateen village, northeast of Qalqiliyia, and then threw stones at Palestinian civilians’ vehicles travelling on the street, but no injuries among Palestinian civilians were reported. At approximately 21:00, Moneer Saleh Isma’il ‘Odah, from Hawarah village, south of Nablus, was driving his car and heading towards al-Labbab eastern village, south of the city. When Moneer arrived at al-Sawiyia village’s intersection, he was surprised with a car belonging to Israeli settlers. The Israeli settlers threw stones at Moneer’s car and the windshield of his car was broken. At approximately 22:00, a group of Israeli settlers attacked Kafur Qaddoum village, northeast of Qalqiliyia, from the eastern side. This coincided with the Israeli forces’ storming to the village in order to provide protection for the Israeli settlers. The village residents confronted the settlers, meanwhile, the Israeli forces fired rubber bullets and tear gas canisters at the residents. As a result, a 20-year-old male was hit with a rubber bullet to the right leg and 22 other civilians suffered tear gas inhalation. At approximately 22:30, a group of Israeli settlers stationed near the entrance to Yasouf village, which leads to Salfit, attacked Palestinian civilians’ vehicles travelling on the street. A large number of Israeli settlers rode their motorcycles and chased Palestinian civilians’ vehicles. The Israeli settlers threw stones and iron bars at the Palestinian vehicles, but no injuries were reported. At approximately 11:50 on Sunday, 16 December 2018, three Israeli settlers stationed behind the wall of Bureeq Secondary School, which is located at the eastern entrance to Bureen village, south of Nablus, fired shot in air, causing fear among students. Following that, the headmaster was forced to end the school day fearing for the students’ lives and then the students left the school. At approximately 12:20 on Sunday, Israeli settlers, under the Israeli forces’ protection, attacked the Laban- al-Sawiyia Mixed School. As a result, the education institution was forced to evacuate the school fearing for the students’ lives. The Israeli forces claimed that an Israeli female settler was hit with a stone near the school. After that, an Israeli settler stationed at the entrance to al-Labban village and started firing shots into the air. At approximately 19:00 on Monday, 17 December 2018, a group of Israeli settlers, under the Israeli forces’ protection, moved into Mar Saba area, east of Bethlehem, and performed their Talmudic rituals. The settlers’ arrival at this area came as a prelude to celebrate Jewish Holidays. At approximately 01:00 on Tuesday, 18 December 2018, a group of Israeli settlers moved into Yasouf village, east of Salfit. The settlers attacked Palestinian vehicles parked in front of their owners’ houses. The settlers also wrote slogans against Arabs and Muslims on the walls of Abu Baker Mosque and on the walls of a house belonging to Ahmed ‘Izzat Mohamed ‘Abed al-Fattah, in addition to wrote slogans on vehicles. The settlers also punctured the tires of 24 vehicles belonging to Palestinian civilians, whose names are kept by PCHR. At approximately 19:30 on Tuesday, a group of Israeli settlers, under the Israeli forces’ protection, attacked a truck at the entrance to “Shavei Shamron “ settlement, west of Nablus, and damaged its windshield. The truck belongs to Jehad Naser Ahmed Abu Baker, from Ya’boud village, southwest of Jenin. It should be noted that Jehad was returning from Hebron. On Wednesday, 19 December 2018, the residents of Gharablah neighborhood in Beit Haninah village, which is adjacent to “Pisgat Ze’ev“settlement, were surprised with puncturing the tires of 20 vehicles belonging to the residents of the Arabs neighborhood in East Jerusalem, in addition to writing slogan “Death to the Arabs” on the vehicles.